Meet our FroCos (First-Year Counselors) for the Class of 2022 here! Pierson was founded and built in 1933, and was extensively renovated in 2004. Today, it is the largest residential college at Yale with approximately 500 students. Pierson’s spacious courtyard, lined with red bricks and white columns, can take on many different functions, including makeshift sports arena, dance floor, and tanning station. Pierson and its unofficial rival, Davenport, share many wonderful basement facilities, including a three room and double level gym, a dance studio, a music room, a printing press, a basketball gym, and a movie theater. Pierson also has its own set of facilities, including a laundry room, two game rooms with pool, ping pong, and air hockey tables, a buttery, a kitchen, and a seminar room. First-years in Pierson live in the cozy and quaint Lanman-Wright Hall (known as L-Dub), but these freshmen will still become a huge part of Pierson life through the Head of College and the Dean, the Intramural Secretaries, the Pierson College Council, the Student Activities Committee, and your First-year counselors (“frocos”). This wonderful community of Piersonites, with the help of the Pierson Adminstrative- and Dean’s offices, comes together to create study breaks, outings, the Halloween Inferno dance, Pierson Day and a variety of other college activities that make Pierson wonderful. 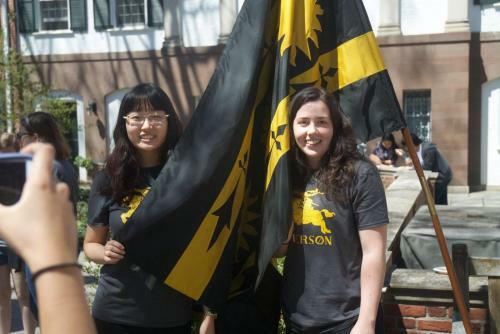 Check out all the information on the website to learn more about all that Pierson has to offer.